Samsung officially announced its round Gear 2 and S2 Classic smartwatches during IFA last month, saying it would arrive in Canada in early October. Today, Best Buy Canada getting a jump on the hype, openings for the wearables. 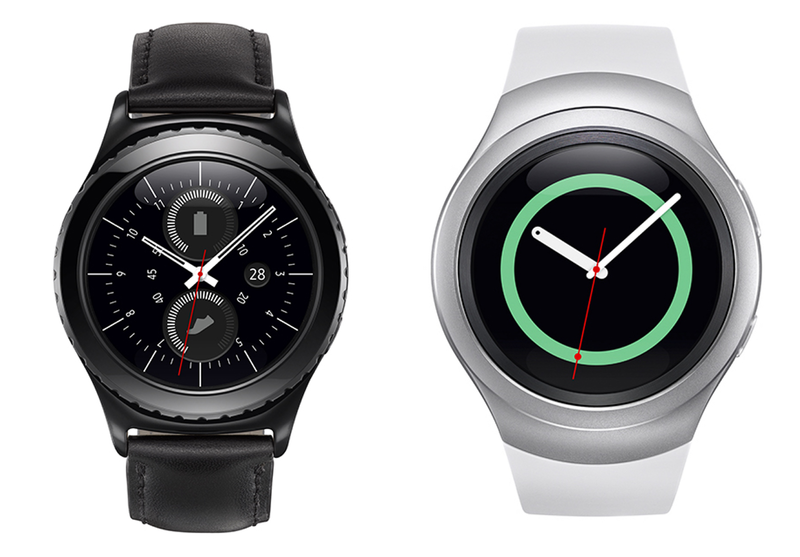 The big box retailer shows an October 2nd release date for both models, pricing the black or silver Gear S2 at $399.99, and the leather Gear 2 Classic $30 more at $429.99. The Gear S2 runs the latest version of Tizen, sports a 1.2-inch circular 360 x 360 display, a 1Ghz dual-core Exynos processor, 512MB of RAM, and 4GB of internal storage. The wearable is IP68 dust proof and water resistant and features a 250mAh battery, which Samsung promises will last two to three days of typical use.